Continuing on Monday’s theme, today I’m going to talk about some of my favorite full-bust brands, then some of my favorite individual full-bust bras, and then share some of my favorite treasures from my lingerie collection. This is so fun! I love talking about myself! I should start a blog! 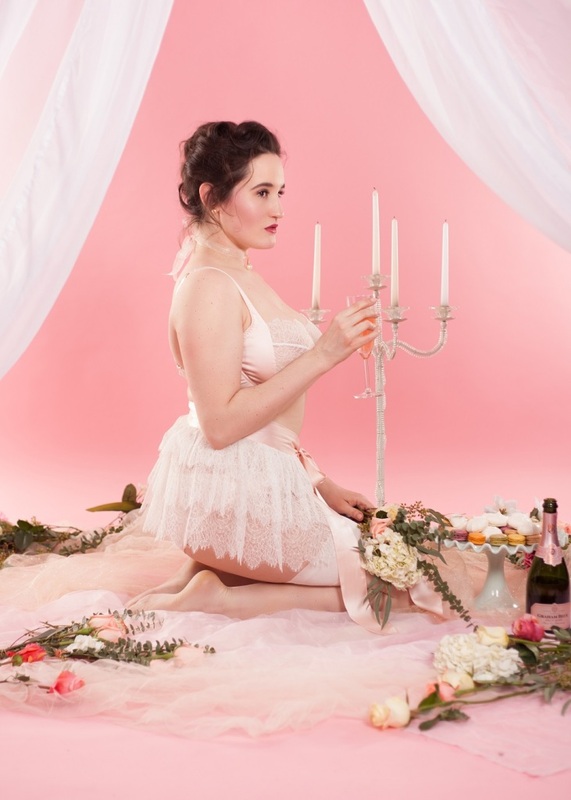 Again, there are a ton of truly excellent full-bust brands out there, and an increasing number that are offering direct-to-consumer sales (think Ewa Michalak, Playful Promises, Curvy Kate, Scantilly, Bravissimo, etc.). A quick scroll through my review archives should give you a much more detailed overview of some of the excellent products available for people who wear DD cup sizes or higher. However, every individual body is different, and every bra is different. Generally in my reviews I try to be clear about whether I think a bra is successful in general or if it’s specifically successful on me. There are some bras that are near-universally adored that leave me cold, but then again there are some bras and brands that I want to wear again and again, because they suit my body and comfort levels so well, or because they feel so special, or because they just bring me joy. Without further ado, here are my, Sweets’, personal favorite full-bust brands. I have to salute Panache for their continuing (and often game changing, in the case of their Jasmine bra and sports bra, each of which have spawned countless imitations from other brands) commitment to developing different shapes and fits to suit a wide customer base. While not every bra in their lineup suits me, when it’s time to stock up on basics, replace a beloved bra that’s on its last legs, or buy a new swimsuit, or even if I just want to try a new style I’ve never worn before, I always seek out Panache first. The fact that Ewa Michalak shoots each collection on multiple models of varying sizes is just one of the many things I appreciate about this brand. Not only do the models represent a range of cup sizes, some are emphatically plus sized (Ewa Michalak makes some of the largest bras and swimwear in the world), but they also cover a range of ages, and physical features like wrinkles, cellulite, or wobbling arms, which are perfectly natural and yet are widely edited out of most lingerie imagery, are presented cheerfully and matter-of-factly. This imagery really helps potential customers imagine what the sets might look like on them (although it’s important to note that all models that I’ve ever seen for the brand have been white). My Ewa Michalak bras fit my body like a glove, offer fit flexibility in case of size fluctuation, last forever, and see me through long and active days with no tugging or adjusting. As you’ll see in the list below, many of my most treasured pieces of lingerie are by Harlow & Fox. I’d encountered some full bust bras in the luxury price range (primarily Empreinte, Lise Charmel, and Primadonna), but Harlow & Fox burst onto the scene in 2012 like nothing I’d ever seen before, and they paved the way for the industry to take luxury full-bust designs seriously and for more and more brands and designers to tackle this size range. Each collection is like a beautiful work of art, made of soft silk, delicate lace, and unique embroidery. 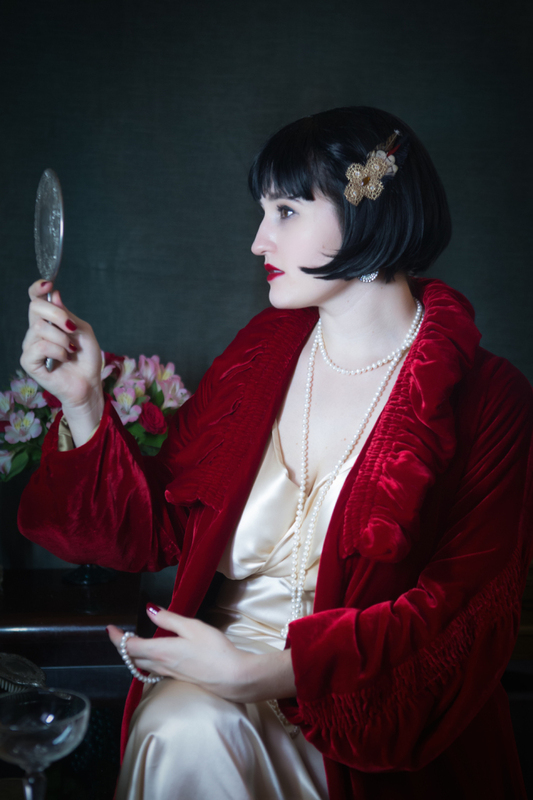 I feel utterly decadent and gloriously romantic when I wear Harlow & Fox, and if I could afford it I’d want almost every collection for myself, robes, gowns, suspender belts, and all. Freya was my first favorite full-bust brand, which I discovered in 2008, and after a period of estrangement, I’ve recently returned to them once more as current seasons have introduced remarkable fit adjustments and improvements. Not every print is my cup of tea, but I know that if I need a comfortable everyday bra, a great strapless bra, or an all-around cute lingerie set or swimsuit, Freya will most likely have a set that tickles my fancy. I recommend the brand all the time to folks who are just starting out on their fill-bust fit journey, and I’m delighted I can once again speak from personal experience, as more and more styles appear that work well for my body. This is honestly what I wear instead of beige t-shirt bras. The stretch lace top cup offers a smooth yet flexible fit, the houndstooth/floral lace fabrics give this basic bra a little zip, it’s sturdy, it’s supportive, and come to think of it I actually need to replace mine as it’s getting worn out. This bra is awesome, goes up to a K-cup, comes in seasonal colors, and is a bra I want in my lingerie drawer always. This bra surprised the heck out of me. I’d been burned by Freya’s fit before, and neon? I didn’t think it was my jam. But I still wear this set, and the black version, almost every week. I love the shape, I love the transparency and lightness, I love the comfort. It’s a fantastic bra and a huge improvement over the way the G+ styles used to fit. I fully intend to stock up on more colors at some point, and you can bet it’s going to get a workout as we head into the hottest months of the year. I don’t think there’s a single bra I’ve tried that is a better match for my body, activity levels, lifestyle, and fit preferences than the BM shape from Ewa Michalak. It was the first Ewa Michalak style I ever tried, and I’ve returned to it again and again and again. The powernet band and stretch lace mean that I still get a great fit even if my size is in flux (can you tell yet that my size is ALWAYS in flux? ), there’s no padding, I get a ton of lift, and the narrow underwires and super deep cups match my breast shape beautifully. While occasionally I have to wear a bra with less projection to help my clothes fit, my BM bras are some of the most comfortable I own. If you haven’t tried Ewa Michalak yet but you’ve always wanted to, and you think you might be shaped like me, this is the style I’d go for. You can also find Ewa Michalak in North America at Zathiya, Forever Yours, and Broad Lingerie. I know, I know, I literally just got this bra, but it. is. spectacular. A luxury bra that feels like a fit-focused bra. Comfortable band, slim silk straps, silk sling, delicate lace, huge amount of support for something that feels so incredibly lightweight. I love it and I want five more. Let us resign ourselves to the fact that this list is going to include most of my super fancy undercrackers. I have everyday bras I love, wear, and replace frequently (see above), but the lingerie and bras listed here are my heart’s treasures, the rare, precious, even one-of-a-kind pieces that I hope to hold on to and love for years to come. I’ll see you again at the end of this week for one last post before hiatus! Thanks Iveta! This is really helpful, and so glad you’ve enjoyed wearing your Ewa Michalak bras!